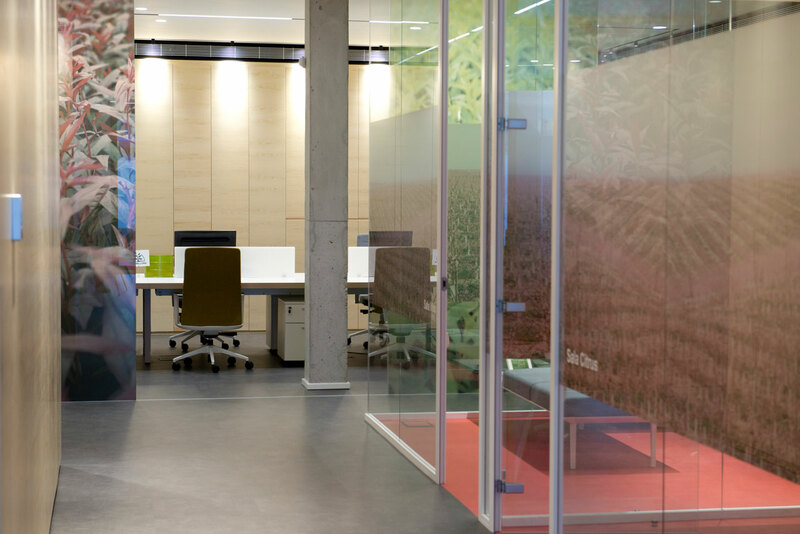 Agromillora is an ecological Catalan company dedicated to the production and commercialisation of saplings of the highest genetic and sanitary quality, on an international scale. 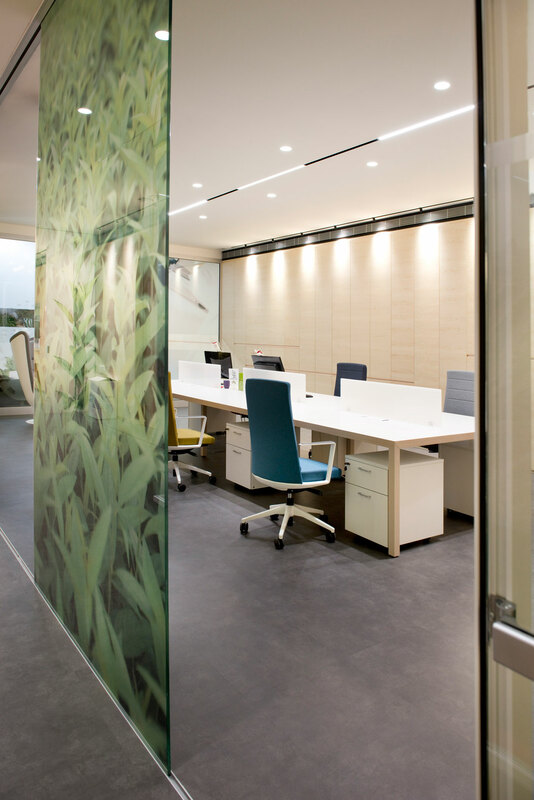 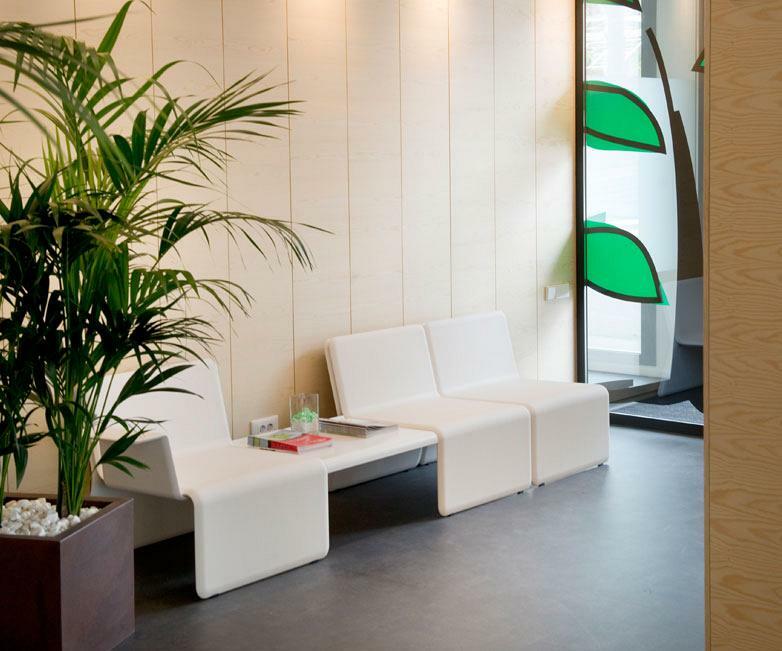 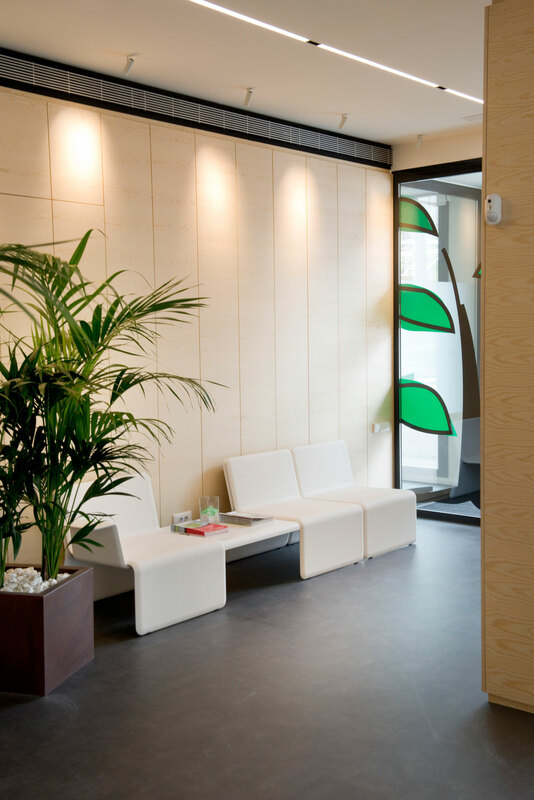 With a presence in five continents and over 30 years’ experience as the world leader in fruit trees and olive trees, its new offices, near to Barcelona, have been designed to be the company’s operational and strategic centre for their branches worldwide. 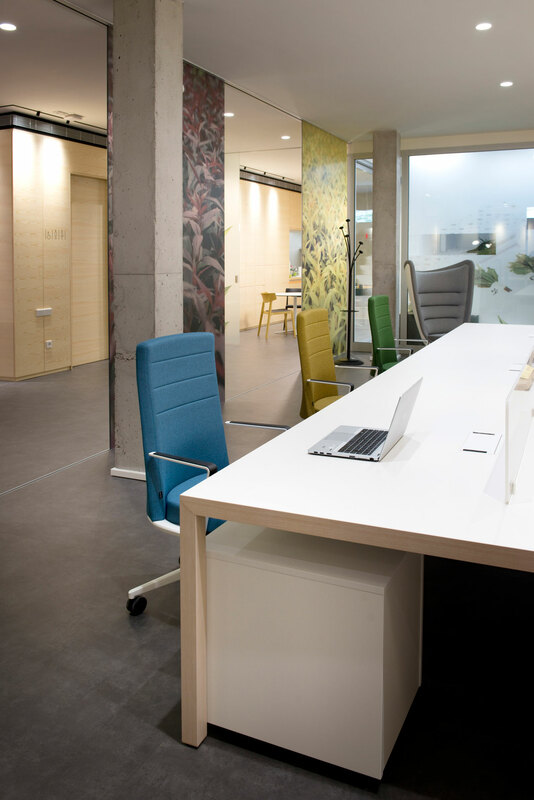 The Curro Mestre architectural studio, through its innovative Officining use of space and, in collaboration with Actiu, applying the Cool Working methodology, has achieved cohesion of both concepts in a project that connects the company’s over 1,000 employees worldwide. 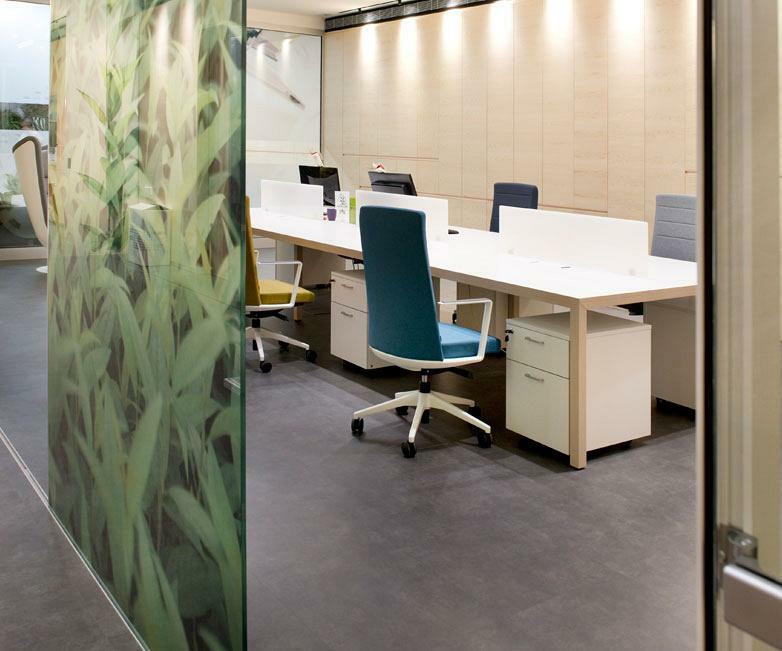 The proposal made by the Valencian architect sought a more dynamic and interactive functionality between the proposed spaces, in line with new trends and technologies, that facilitates relationships between different departments both within the business and with external partners. 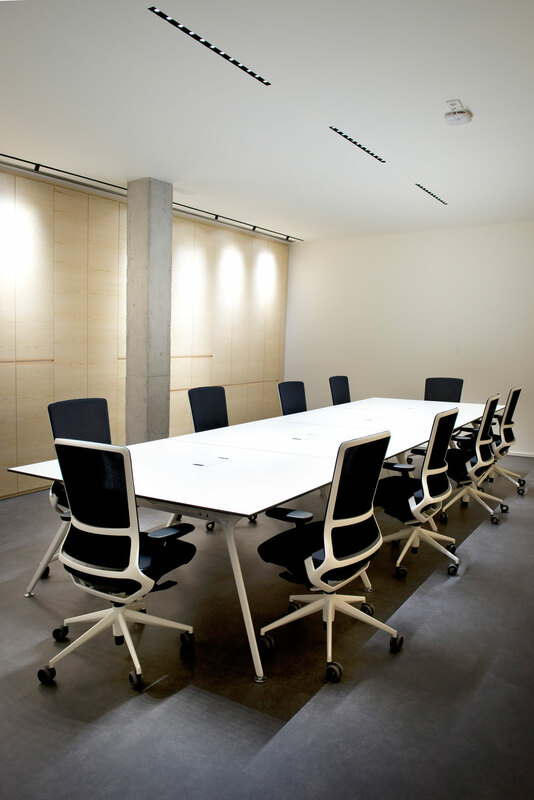 A process of various stages which understood the requirements, offered a solution, considered the advantages and created and applied a result. 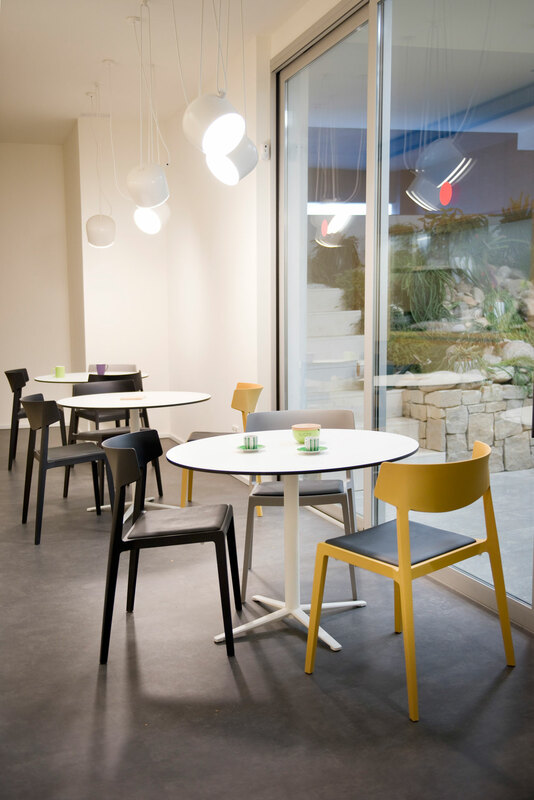 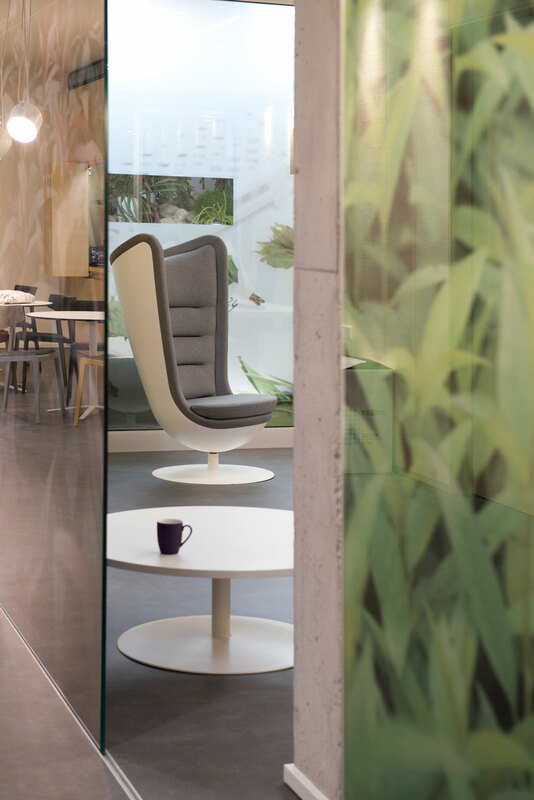 To complement the architecture, Actiu has succeeded in generating comfortable and approachable working environments, which remain productive, efficient and motivational, through their installations and furnishings. 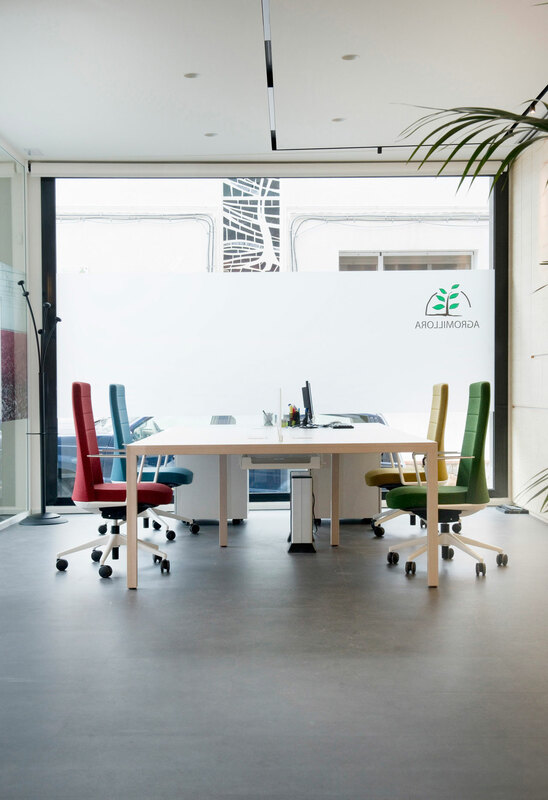 The result is an office which, over an intense analysis of the needs and ways of working, result in spaces with a brand value which promote collaboration, connectivity, and communication, whilst also encompassing spaces of privacy and concentration. 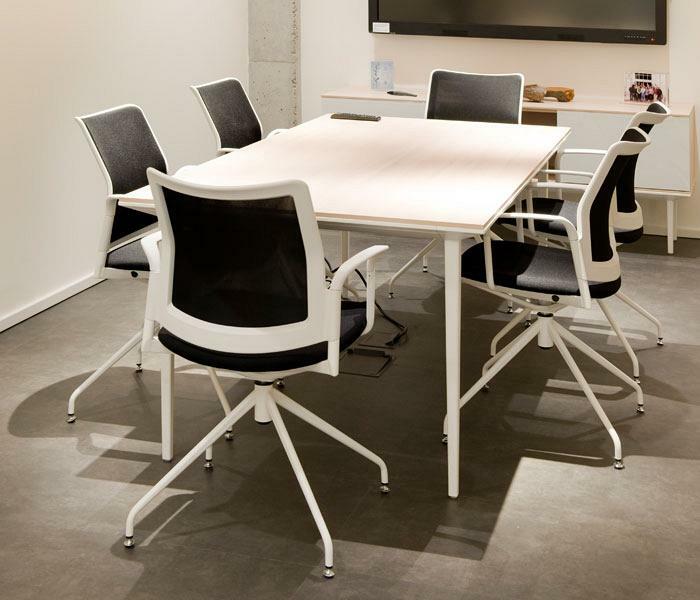 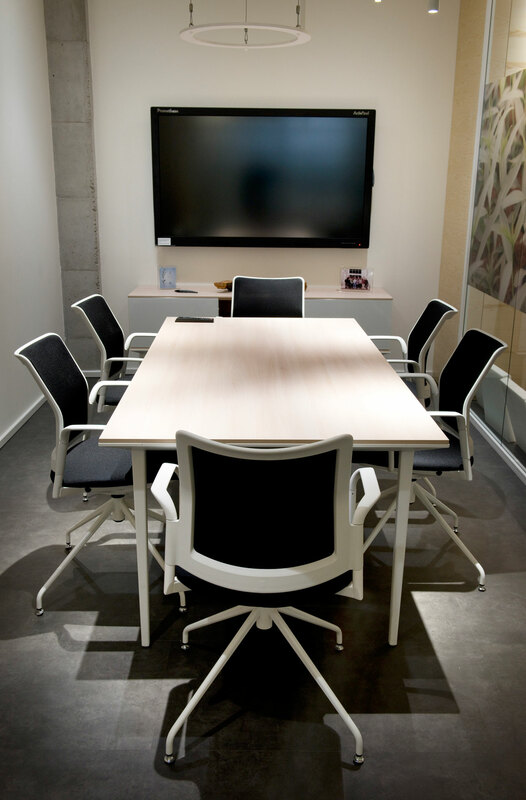 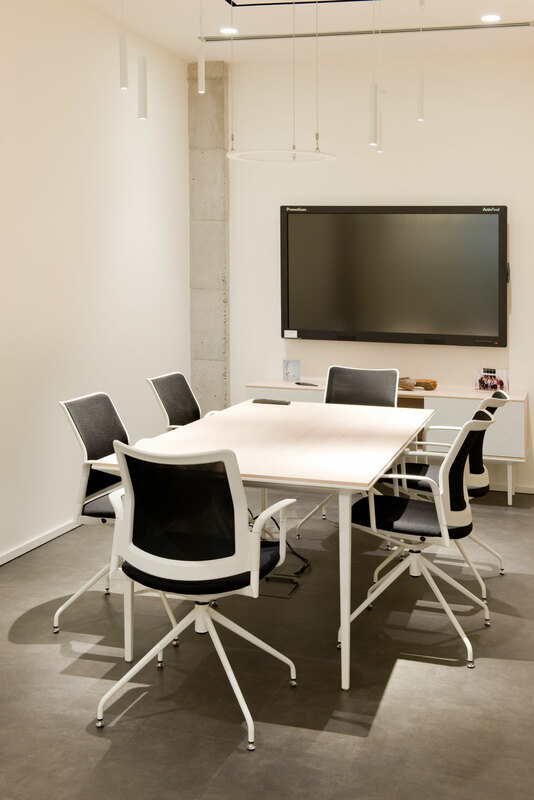 The collaborative spaces, created from flexible operating posts with Prisma tables and Cron chairs and meeting rooms with Longo and Urban Plus respectively, allow various configurations of work stations and boast the tools for connection at any time. 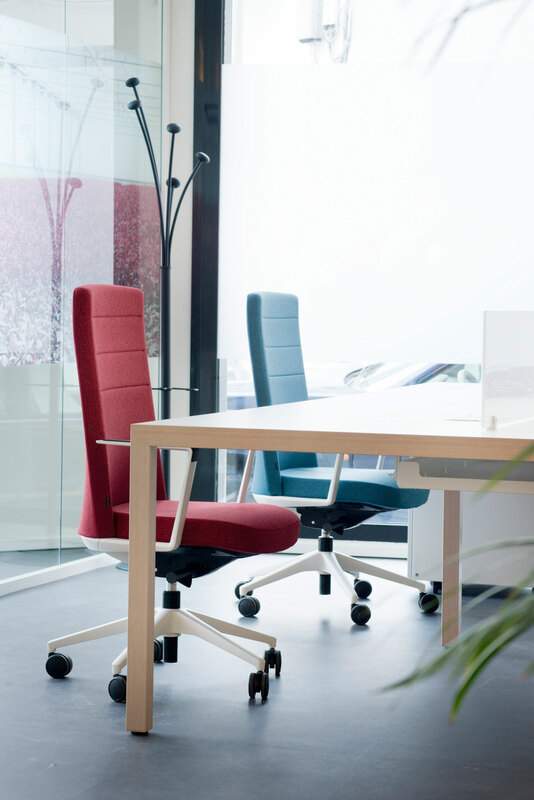 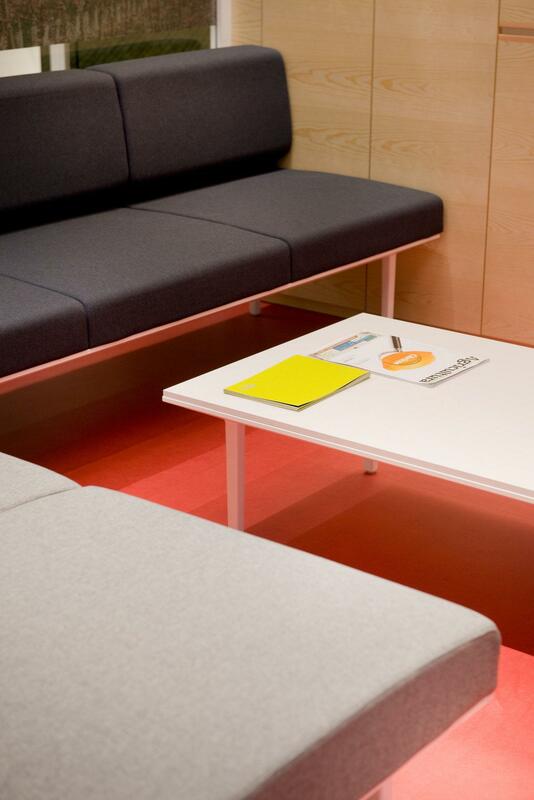 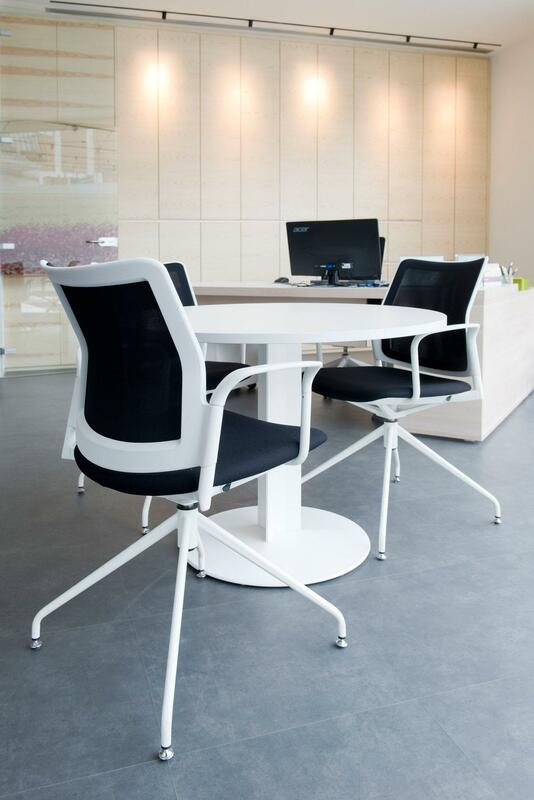 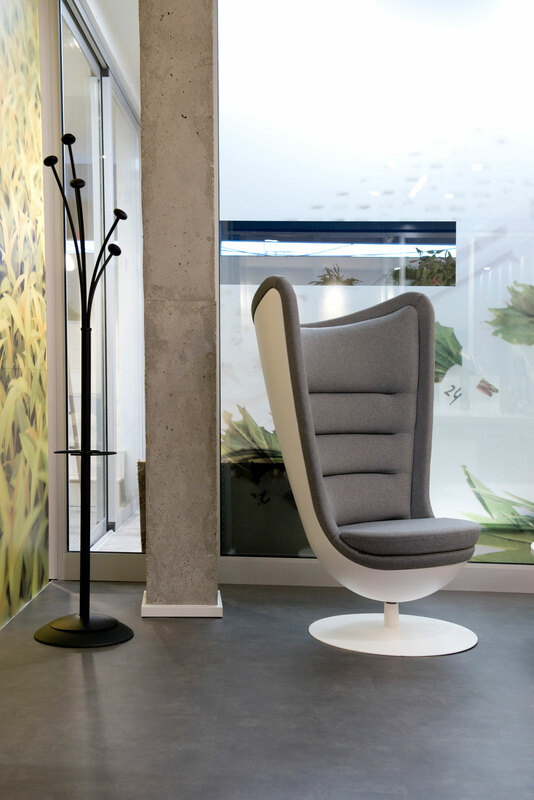 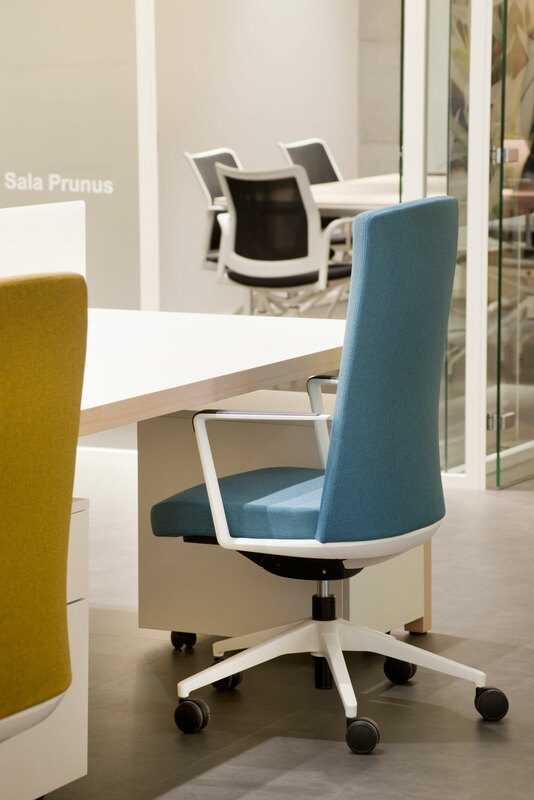 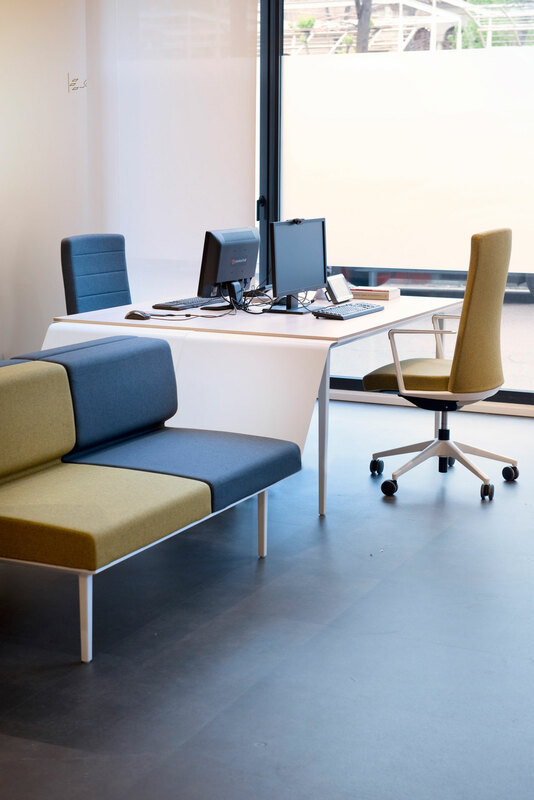 In the common areas and corridors, comfortable and usable furniture, has been provided, one of the new paradigms in offices that allows you to switch off from work, have a relaxed conversation or use these areas privately. 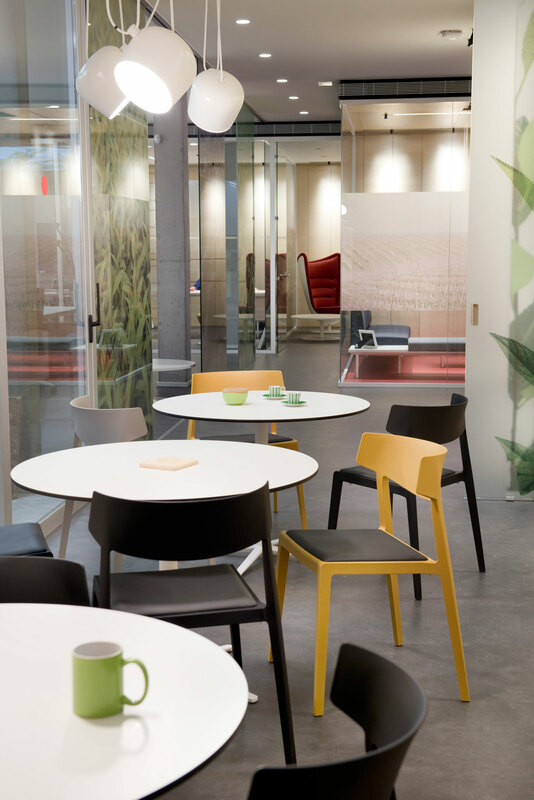 These zones, equipped with the Badminton armchairs and the Shey Soft Seating system, create work spaces to make you feel at home. 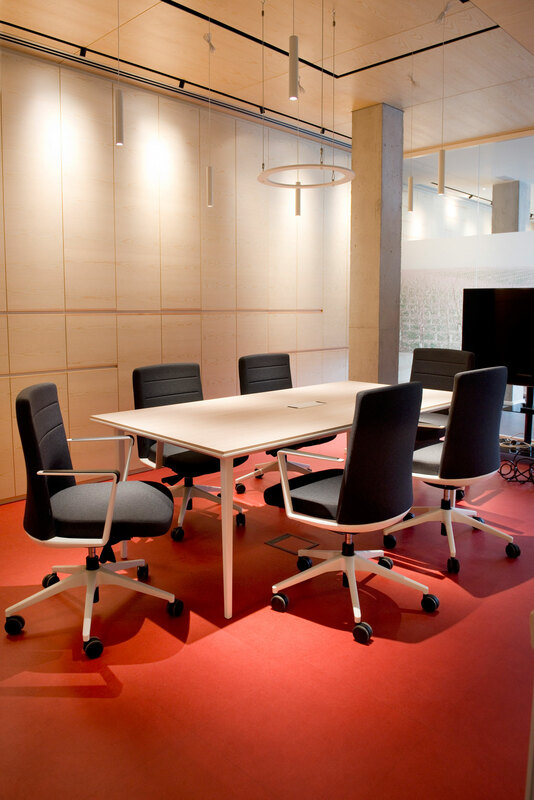 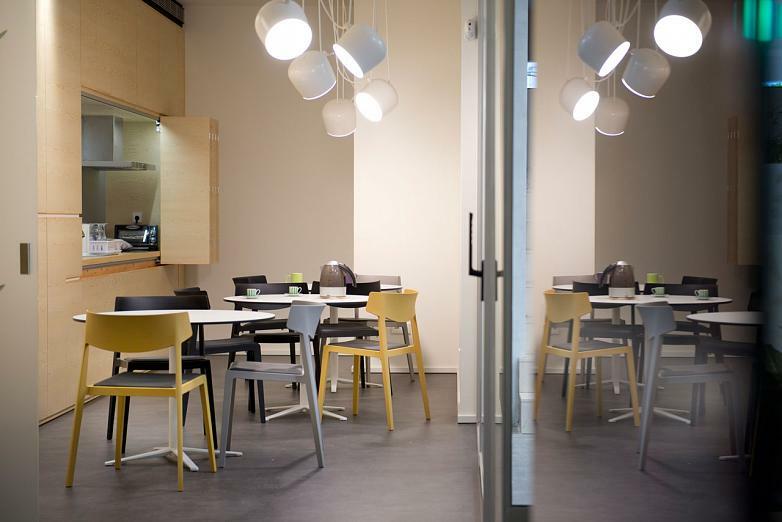 The kitchen, another of the key spaces in any office, is equipped with the Wing chairs and the Tabula tables. 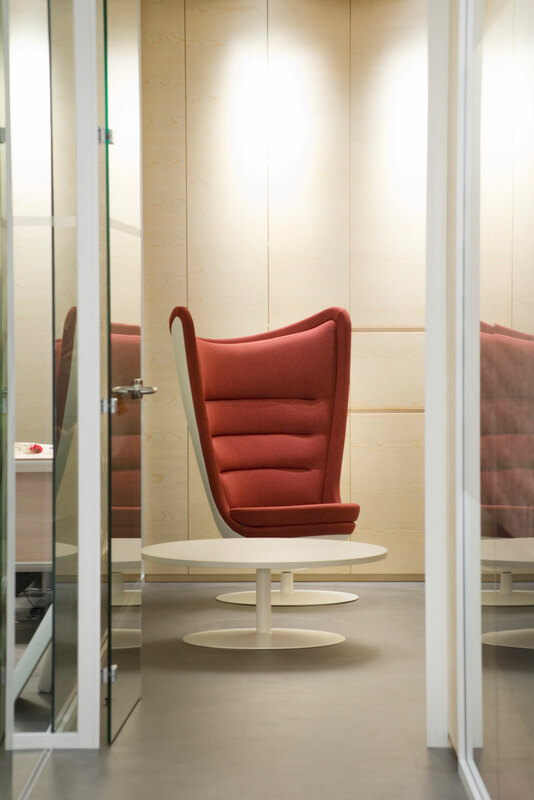 This space doubles as a dining area and an informal meeting room, thanks to the design of the wardrobes which allow it to remain open or be closed off. 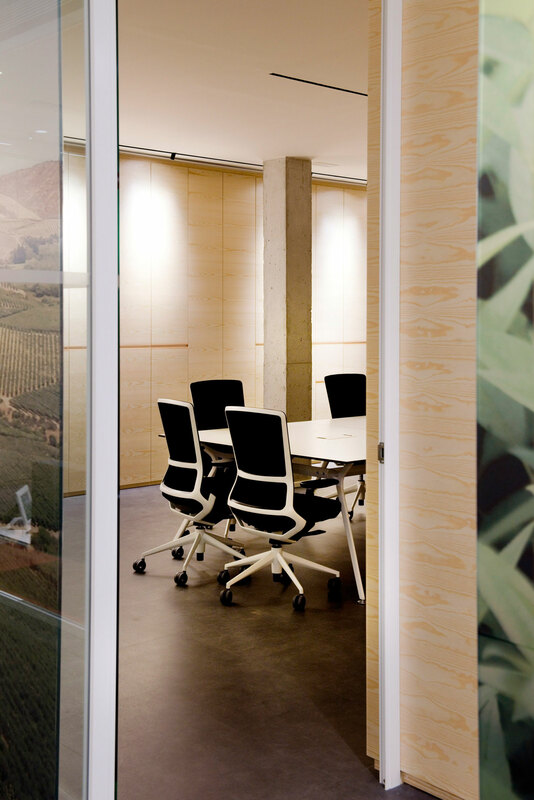 The brand identity and the proximity to nature are transmitted through the graphic design applied to the space and the furnishings. 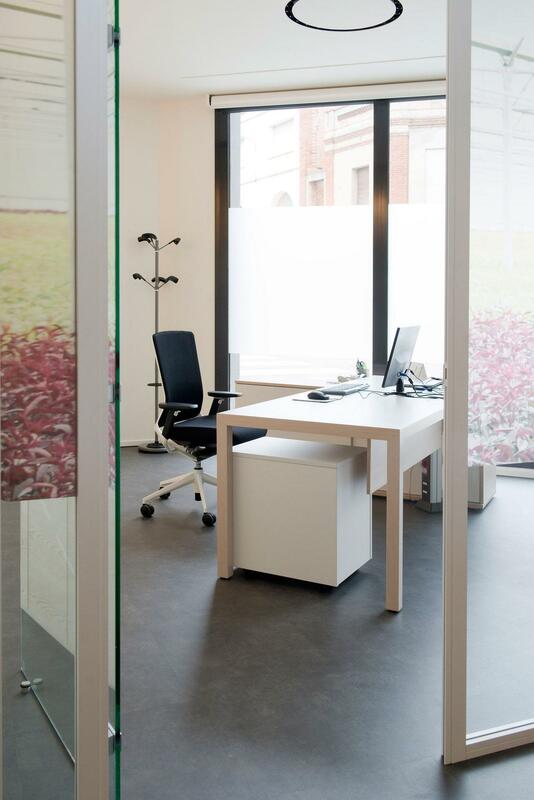 Glass plays a fundamental role, allowing the length of the office to be visible. 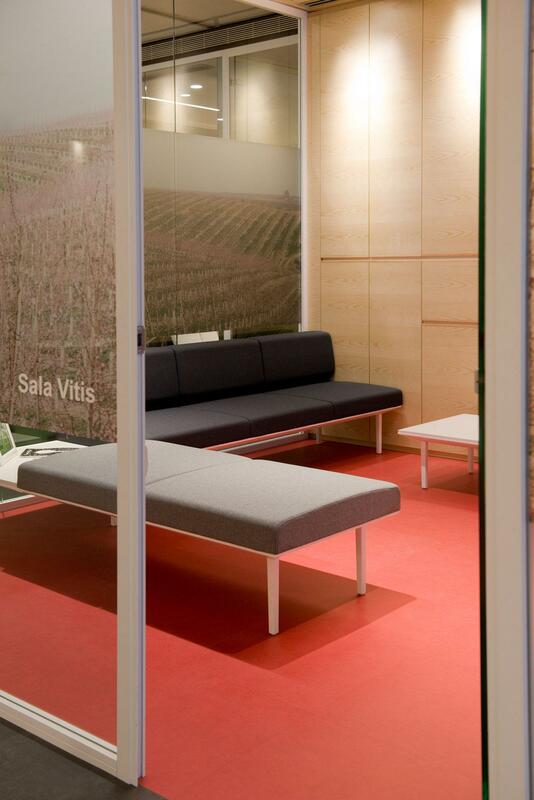 Vinyl with vegetative designs allude to the brand values, forming an attractive orchard which sieves the natural light and manages the visibility of the space. 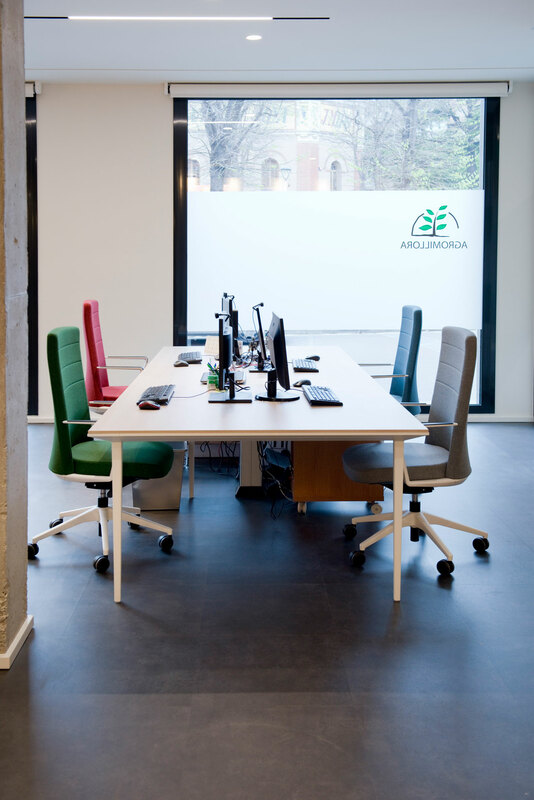 Ultimately, the Agromillora project has involved a fusion between two complementary ways of understanding space: architecture and furnishings, agreeing on the need to put people at the centre of workspace design.